We’ve been amazed to find a wealth of articles written by, for and about X-Men: TAS. 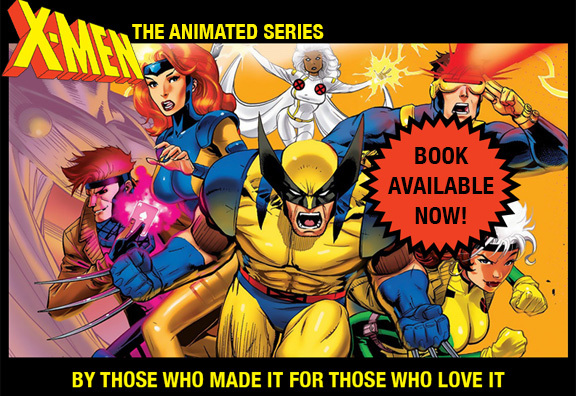 This tells us that X-Men: TAS really struck a chord with viewers, and has continued to resonate over time. With everything from ‘best of episodes’ lists to more scholarly examinations of the moral underpinnings of the show, there’s something for everyone here, and we’ll keep adding more. Our Favorite Cajun has a big fan. Our thanks to Taimur Dar and Heidi MacDonald for this. Great ringtone, or greatest ringtone? Digital Spy looks – and listens – to everyone’s new favorite ringtone. An interesting look at what might have been. CAL DODD, the voice of Wolverine for millions, talks about his iconic role with AARON COUCH. Our STORM receives rightful recognition. Role-playing as a superhero may have real-life benefits. KYLE ANDERSON begins his examination of the entire series. Behold the Beast! The Fervent Shaker makes a strong case for specialized cocktails for each of our X-Men – cheers! CBR counts down its top 15. RETRO REVELATIONS shares some personal remembrances. JOSHUA SKY speaks with us about how X-Men:TAS came to be, and how we and many other talented folks came to be involved. MATT PATCHES interviews us about our adaption of “Days of Future Past” Parts 1 & 2 in connection with the release of the 2014 film. WILL VAN STONE, JR. writes that bright colors and fantastical powers aside, at its core X-Men: TAS is all about the story. MORGAN JEFFERY examines X-Men: TAS, including its epic theme song, and its impact even now. JOSH WIGLER looks at what X-Men: TAS got right, and what the others get wrong over and over and over. The AV CLUB presents DAVID SIMS and his Top Ten picks – do you agree with this list?